November 1, 2014 will be the grand opening of the Patriots' Casa at Texas A&M University-San Antonio. This building is dedicated to supporting student veterans, military personnel and their families enrolled at A&M San Antonio. The ribbon cutting and opening of the building will be from 11a.m - 2.p.m. with guest speakers and special activities. 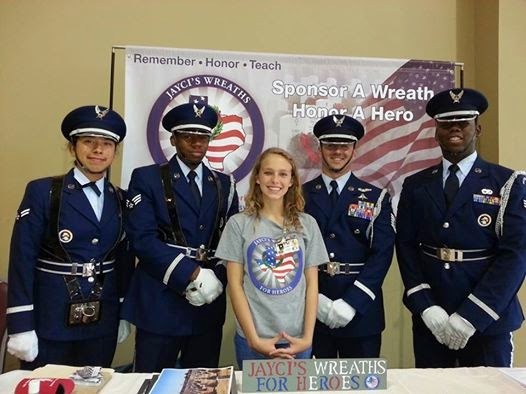 Jayci's Wreaths for Heroes Night at Freddy's Frozen Custard and Steakburgers in Alamo Ranch is coming soon. Thanks to Owner, Mr. James Oberg for inviting us once again to help raise money for wreaths to lay this December's National Wreaths Across America Day. Dates to be announced. 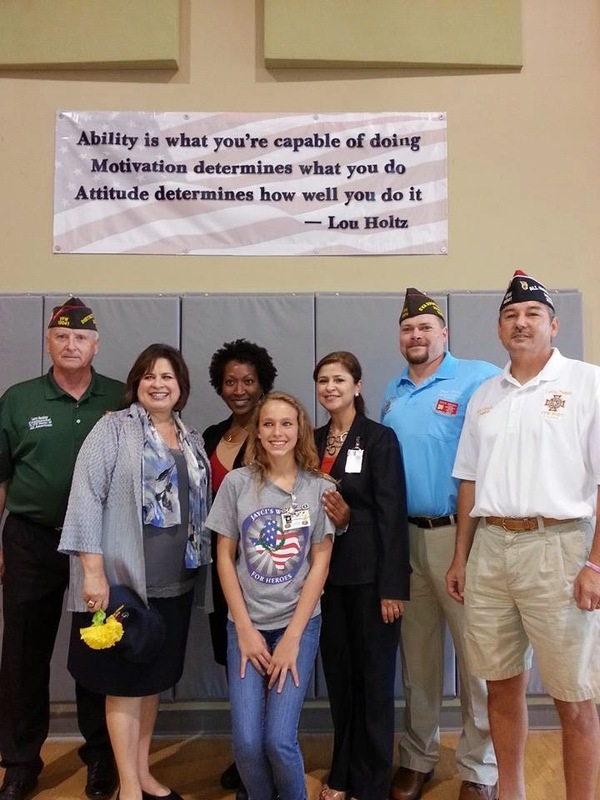 I will be honored to be at the Lytle VFW Memorial Post 12041 7th Annual Freedom Walk and Freedom Festival on September 13, 2014. Come join us as we honor those we lost on 9\11 and honor our heroes and first responders as well. 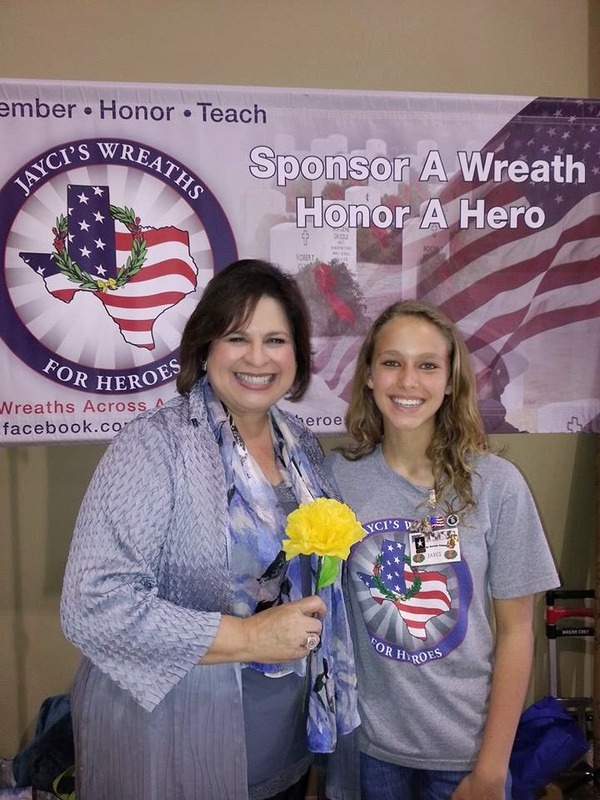 Senator Leticia Van de Putte visited a Vetrans health summit Saturday September 6th and spoke to the participants at the event. She does so much for our veterans. 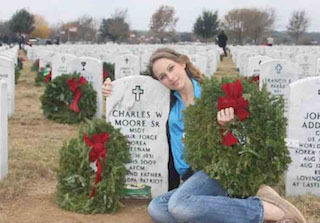 We shared information on Wreaths Across America and Jayci's Wreaths for Heroes.org. It was truly an honor to meet her. What an honor to meet Mr. Larry Sanders, VFW District 20 Commander. Commander Sanders is a hero who works tirelessly to help other heroes. I am privileged to continue working with the VFW District 20 Chief of Staff/Adjutant Doug Brown. Mr. Brown has spent many hours helping with my projects. I was also privileged to meet Dr. Johnson and Dr. Ga;an from the Veterans Mental Health Summit. Dr. Johnson graciously invited me to be a part of the summit on Saturday September 6th to share my message of honoring the heroes. I love meeting new heroes and these particular heroes look just amazing! This is the Air Force color guard that works at Ft. Sam Houston during the ceremonies laying those men and women to rest. Thank you heroes for your compassion and dedication to the families of those who have gone to rest. I honor you for your service to them.